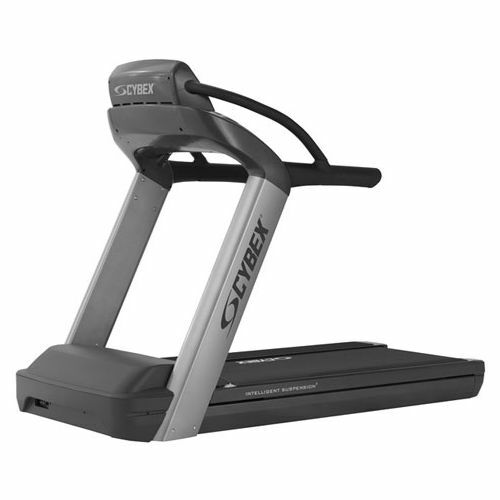 The Cybex 770T-CT treadmill utilises the Intelligent Suspension System which is the result of extensive research conducted by the Cybex Institute for Exercise Science. The Intelligent Suspension System provides deck that is soft at landing, firm in the middle and rigid at toe off to perfectly match the body's running mechanics and cushion shock at every step. 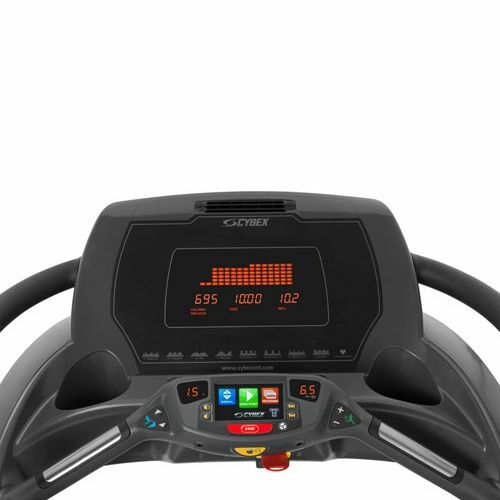 The machine is supplied with LED display that provides feedback on calories, calories per hour, distance, BPM, time, pace, watts, METs, heart rate, incline and profile. It also features a new CardioTouch display that offers a single command centre that enables you to easily set up a programme, charge an iPod or iPhone, scroll through playlists, albums, podcasts, and more. The Cybex 770T-CT treadmill offers a great range of exercise programmes that guarantee challenging and effective workouts. These programmes include: weight loss, rolling hills, hills, pikes peak, hill interval 1:1, hill interval 1:2, hill interval 1:3, cardio, HR, Gerkin Protocol, Army PFT, Air Force PFT, 2 Navy PRT, 2 Marines PRT, one mile and PEB. 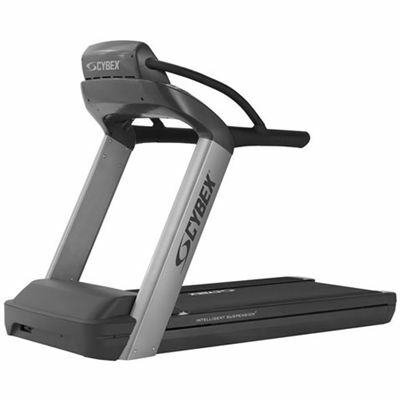 Heart rate measurement with the Cybex 770T-CT treadmill is easily achieved using the integrated pulse sensors in the handlebar or, for the ultimate in accuracy, an optional chest belt with built in receiver can be used. The Cybex 770T-CT treadmill is an impressive running machine that offers wide range of features designed to provide maximum safety and comfort. The machine is ideal for everyone from casual fitness members to avid athletes. 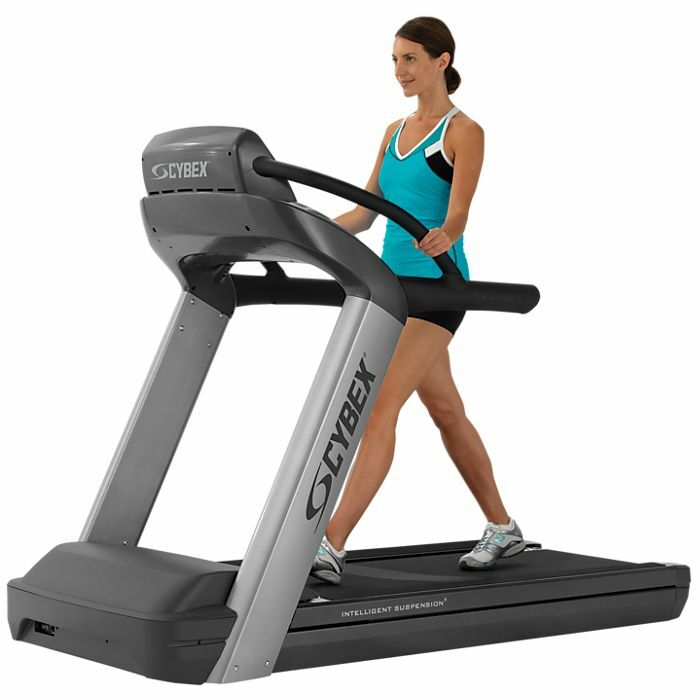 for submitting product review about Cybex 770T-CT Treadmill .